Around the world, bibliophiles, book artists and food lovers alike gather to celebrate the art of books through food. Participants create an “edible book”, which is a culinary interpretation of any book, character, literary pun, or plot. Entries must be inspired by a book, literary figure, book character, literary pun, or plot. Edible Books Festival is open to the entire community. 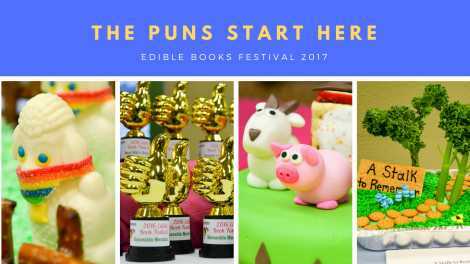 The International Edible Book Festival is held annually around April 1st. The event will include celebrity judges, a movie showing, build-your-own Edible Book stations, and prizes for top entries.